Okay, at the heels of the last meetup, the next Juan Great Meet is on October 27, 2012, from 1:30pm-4:30. There will be a P150 entrance fee for food and drinks. I’m excited to say that we’ll be holding the event on the premises of a cool, food retail startup, Briggy Hall. This is located at East Capitol Dr. Brgy. Kapitolyo, Pasig City. I’m excited to get to see the place! To grab one of the 50 slots, quickly sign up here. This includes announcing ALL startup-newsworthy events (like a new product launch, or a new incubator, etc) happening in the area, JGL updates (planning to have quick updates on the 3-4 startups founded here in the FB group), and the like. Around 10 mins. This is the main gig! This is where people could present or ask questions to the group. This includes anything from questions about one another’s startup, announcing a need for co-founders, asking what the group thinks about an idea, etc. We did this in the first meetup and it was a blast – people learned a lot! There would be 2 minute limit per idea for the one asking the question/pitching the idea. Usual free for all, food, brainstorming, and pocketmeetings. There’s 50-slot limit because of the venue constraints and the event agenda (the open floor format doesn’t lend itself where to huge crowds). Attending JGL events like is also now the ONLY way you could get an invite to the JGL Group FB community. Seeya on the 27th! Do sign up fast. Note: Let’s just semantically define things. 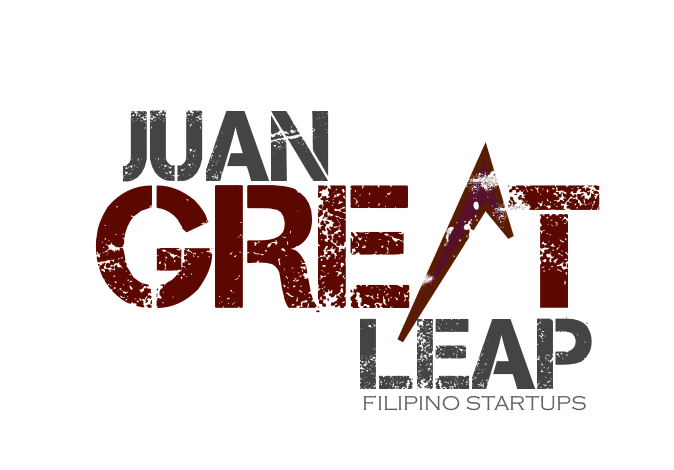 Juan Great Meet – this is the smaller “meetup”- style event where what we’re after is the sharing of ideas, insights, and opportunity. JGL Conference – the bigger one we have (last one in Ayala Technohub attracted over 200 folks), centered more on en masse learning. All events are geared towards both existing entreps and those who want to take the leap. Previous PostThink Bigger. Much Bigger. Last Call for October OPEN COFFEE!